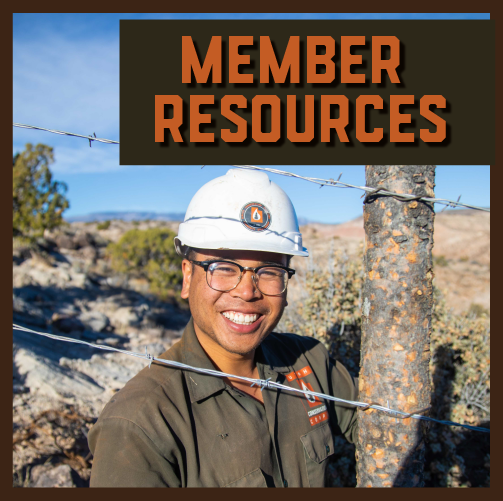 Utah Conservation Corps' Individual Placement Program connects AmeriCorps service to non-profit and government organizations addressing environmental stewardship, education, and sustainability in Utah. UCC's Individual Placement AmeriCorps members serve with one UCC partner organization for their entire Term of Service. While serving, Individual Placement members have the opportunity to gain professional development and experience in the environmental non-profit and conservation field through their host site. 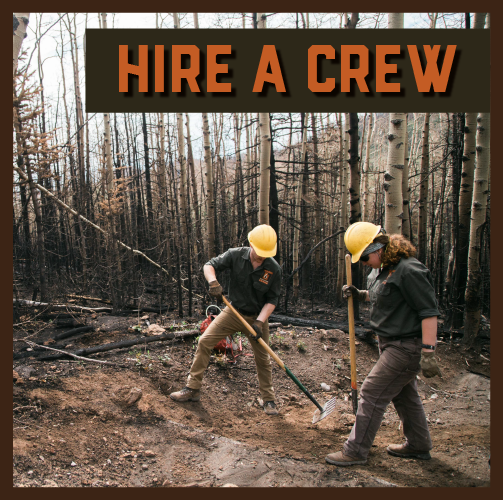 Additionally, they have access to AmeriCorps benefits and training related to environmental education, volunteer management, and wilderness first aid. 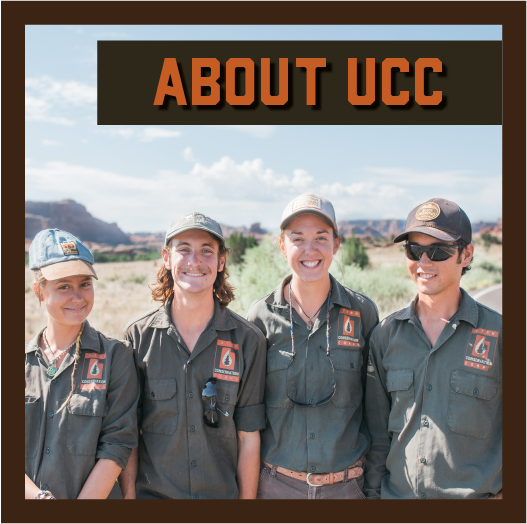 Utah Conservation Corps partners with a variety of non-profits organizations, government agencies, and schools. The list of partners hosting UCC Individual Placement members changes year to year, and service activities vary by site. Below are some of UCC's current and past partners. Each partnering site conducts their own hiring (advertising, application, and selection) process for their UCC AmeriCorps position(s). Hiring for many full-time, full year positions occurs November and December with a start date of January or February of the following year. Seasonal and part-time positions are hired throughout the year. Common Ground Outdoor Adventures provides life-enhancing outdoor recreational opportunities for youth and adults with disabilities, enabling them to experience the great outdoors alongside their peers. The Utah Society for Environmental Education (USEE), a 501 c (3) non-profit, has been a statewide leader in promoting high quality environmental education in Utah since 1981. Located in the heart of Ogden, you'll find a 152-acre nature preserve and education center open to the public year-round. The Ogden Nature Center offers a wide variety of classes and workshops for all ages. These include art, photography, birding, wildlife in Utah, outdoor recreation, conservation, sustainability, summer camps, and more. Wasatch Community Gardens is a community-based nonprofit that has served the Salt Lake County community for 20 years. Since our founding in 1989, we have provided opportunities for individuals to grow their own food in urban gardens. We also provide educational opportunities to youth and adults. Stokes Nature Center provides opportunities to students of all ages to explore, learn about, and develop appreciation and stewardship for our natural world. Stokes Nature Center is located in Logan Canyon, just outside of the city of Logan. FRIENDS of Great Salt Lake seeks to preserve and protect the Great Salt Lake Ecosystem and increase public awareness and appreciation of the lake through education, research, and advocacy. TreeUtah is a statewide 501 (c) 3 non-profit organization dedicated to tree planting and education. Immerse yourself in the wildness and beauty that only a desert sojourn can offer. Come with us and experience wild nature through hiking, camping and river running. Red Butte Garden, a part of the University of Utah, is a non-profit organization located in Salt Lake City, Utah. With over 100 acres including display and natural gardens, walking paths and natural areas with hiking trails, Red Butte Garden is the largest botanical garden in the Intermountain West that tests, displays, and interprets regional horticulture. The Jordan River Commission is comprise of governmental and non-governmental members. Utah Clean Energy leads and accelerates the clean energy transformation with vision and expertise. They are committed to creating a future that ensures healthy, thriving communities for all, empowered and sustained by clean energy. The Utah State University Sustainability Council is comprised of USU faculty, staff, and students committed to the development and promotion of sustainable practices on campus. The council is organized into several committees to implement outreach, education, and conservation efforts.